According to the Guardian, New Scientist, and many other press outlets, the Harvard geneticist George Church announced last week that he is going to produce elephant embryos with woolly mammoth genes within two years. Media outlets this week have run more than 60 stories about Church’s press announcement, with breathless headlines, like “Woolly mammoths ‘to walk the earth again in TWO YEARS’ after massive breakthrough”, or “Woolly Mammoth Could Be ‘De-Extinct’ In 2 Years, Scientist Says”. Now Church is a smart biologist. He knows that neither he nor anybody else is going to make a live woolly mammoth in two years. His interviews with the press, like the one reported by New Scientist, seem to have included lots of caveats admitting that the whole project falls short of “Jurassic World”-level science. Most media outlets ignored those caveats, and ran with clickbait headlines anyway. Is this just another case of the media sensationalizing what is otherwise a good science story? Five reasons convince me that this week’s mammoth cloning story is beyond sensationalism, it is fake news. Looking at how this story went wrong says some depressing things about the state of today’s media coverage of science. I believe that open conversations about ongoing research are good for scientists and the public understanding of science. We have to let scientists talk freely and publicly about what they’re working on. Over the long run, people should judge scientists’ credibility by whether their methods are transparent and replicable, and whether their predictions are borne out. Church said it would take “a couple of years” to put the organoids through their test runs. 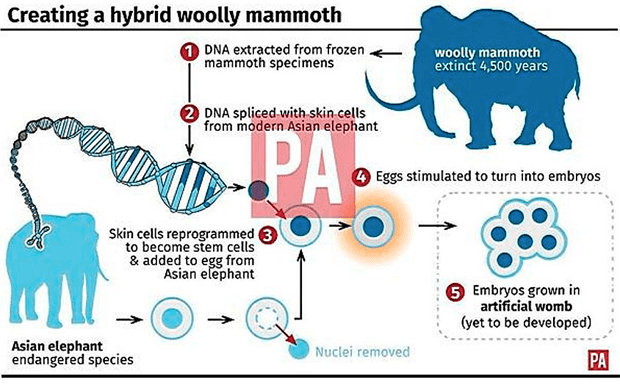 Once the fully edited genome is ready to go, the mammoth-like traits would be inserted into an elephant egg cell for activation and implantation. Searching by author and topic today, I cannot find any scientific research by Church mentioning mammoths or elephants at all. Church’s lab has often posted preprints of papers on bioXiv, but I don’t see any about mammoth or elephant work. Having worked on several big collaborative projects, I know that two-year publication delays can be pretty commonplace. That’s why when reporting on any ongoing unpublished work, competent journalists should be asking some questions: Can we see the data? What more needs to be done before experts will accept your results? If you are waiting for a big result to publish later, why is this newsworthy now? The irony is, I’m sure Church would answer those questions quite openly, and the resulting articles — focusing less on Church’s personality and more on the real stories behind the science — would be more compelling and more accurate. A look at mammoth genomes shows just how small a step Church’s project is compared to the evolutionary history of mammoths. In 2015, Vincent Lynch and colleagues compared the whole genomes of two extinct woolly mammoths with living elephants. They found 2020 amino acid-coding substitutions specific to mammoths in 1642 protein-coding gene sequences. That’s a lot of changes. Even so, it’s a big underestimate of what would it would take engineer a mammoth from an elephant genome. Those 2020 substitutions don’t include any cis-regulatory changes, the non-coding sequence changes that affect how and where genes are expressed — there may be even more of those than protein-coding substitutions. Geneticists also will have to figure out which Asian elephant-specific evolutionary changes need reversing to approximate the mammoth-Asian elephant common ancestor. And they must determine to what extent gene duplications or structural changes to the genome might influence mammoth biology. Obviously, journalists who actually dug into these numbers would have to cover this story very differently. Who would click on a story with an accurate headline? “Forty-five mammoth genes in elephant cells, more than 4000 to go!” But by accurately telling the numbers, they would emphasize the difference between resurrecting an extinct species and slightly modifying a living one. To be fair, Church’s lab isn’t trying to make a mammoth. They are trying to engineer mammoth traits into Asian elephant, by focusing on a few genes. Investigating these genes in cell lines and genetically modified stem cells is a natural approach. In vitro hair follicles would be useful, so would blood stem cells. But the in vitro approach cannot tell you about organismal or systems-level traits such as metabolic processes, fat distribution, and hair patterning. Transgenic mouse models also have their limits. Mammoth genes probably will work very differently in a mouse than in an elephant. Engineering mammoth genes into an elephant, with its much closer genetic background, sounds tempting. But transgenic elephants are a terrible experimental model, because elephants are huge, expensive to feed, reproduce one at a time, and require many years to grow to adulthood. So Church isn’t talking about raising embryos to birth, much less adulthood. He’s talking about generating early-stage embryos. However, anyone can see that early-stage embryos will never provide evidence that implanted genes actually produce mammoth traits. A 10-day elephant embryo does not have ears. It does not have hair. It does not have subcutaneous fat. The mammoth traits that Church is trying to engineer cannot be assessed in an early-stage embryo. One of the most basic misconceptions in biology education is the notion that a trait is the product of a single gene. 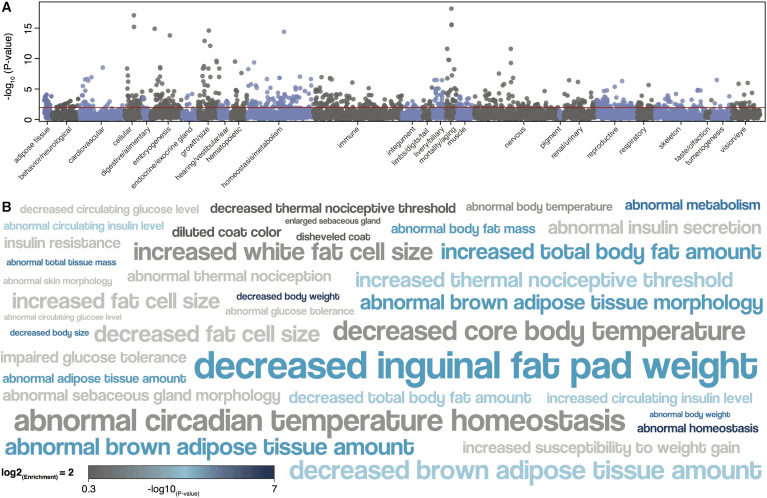 Human traits like hair distribution, fatness and fat distribution, blood chemistry, and ear form are known to be affected by variation in dozens or hundreds of genes. We know a lot more about human biology than elephant biology, and we are only beginning to learn how genes interact to produce these complex traits. So it is misleading for Church to say that “we already know about” the genes that affected mammoth ears, hair, fat, or blood. All we know is that some genes exhibit signs of positive selection in some mammoth populations, and we have a rough idea of some of the biological systems those genes affect, by looking at how the mouse and human versions of these genes affect variation. 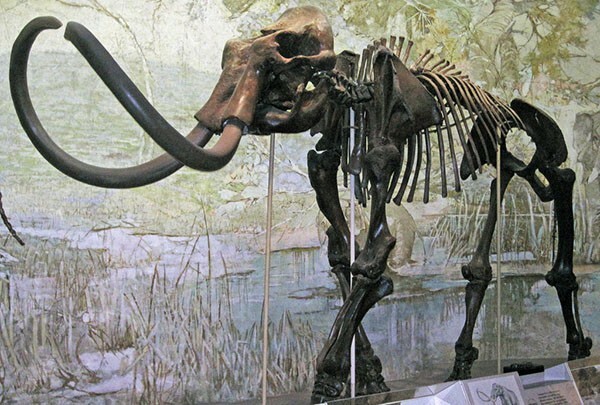 We don’t really know how any of these genes worked in mammoths, how they were regulated, what other genes were necessary for their normal biological function, or what side effects they may have when expressed on an elephant genetic background. You want to get mammoth-like traits with a minimum of genetic tinkering, it’s logical choose the genes with the biggest predicted effect sizes. That’s like increasing muscle mass in cattle by knocking out myostatin. But large-effect genetic changes often have undesirable side-effects. Additionally, natural introgression between closely related species shows that genes common in one species are often deleterious when they introgress into a sister species. In other words, transferring 45 of the largest-effect mammoth genes into an elephant all at once is unlikely to have a beneficial or useful outcome. Breeders regularly face such challenges when they work with hybrids of different breeds or species. First-generation hybrids often have low viability and fertility, but repeated back-crossing with strong selection can sometimes eliminate deleterious gene combinations. But achieving that level of systems genetics experimentation will require raising and breeding lots of live elephants with different combinations of mammoth germline modifications. 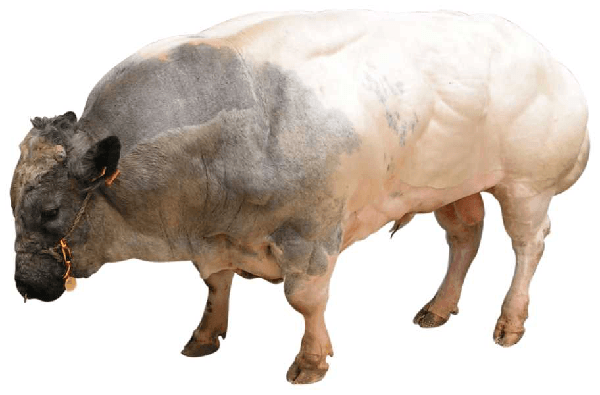 With commercial hybrid breeds like beefalo, that breeding took lots of trial and error over more than a hundred years. It may be achievable, but it is nowhere near a two-year project. An artificial elephant uterus? Really? No matter how you look at it, you can see that science on the traits of genetically engineered mammoths will require live births, not just embryos. Church says that his team does not want to push their elephant genetic engineering forward on the backs of live elephant mothers. That’s a good thing, because in the long run hundreds of mutant elephant births would be necessary to systematically evaluate the effects of Church’s genetic tinkering. Well, here’s where the fake news really floored me. Believe it or not, almost all of those 60 press stories repeated the idea that the impending mammoth resurrection will happen via “artificial womb”. He added that his lab is already capable of growing a mouse embryo in an artificial womb for 10 days — halfway through its gestation period. Mice have a 20-day gestation length. Previous experiments from other labs have successfully brought embryos more than 10 days into development by implanting them on a three-dimensional scaffold of endometrial cells and nutrients in culture. That work isn’t from the 1980s, it was going on ten years ago and may still be underway in various labs, reviewed by Bulletti and colleagues (2011). In those experiments, after a certain stage of development, the ex vivo mice failed to grow normally and ultimately they died well before their 20-day gestation was complete. Maybe research will find some way around those problems, but for the moment this kind of approach will only yield early-stage embryos. My favorite infographic from all the press stories, because of the way step 5 resembles “And then, a miracle occurs”. From the Daily Star. Elephants have a 22-month gestation length. At birth, elephants weigh 200 pounds. An elephant-sized artificial uterus would require either an enormous surface area of engineered tissue for placental attachment, or some kind of placenta replacement. Placenta replacement may not be impossible: In one experiment, a goat fetus was kept alive for more than a week by perfusing blood through the umbilicus supplemented with oxygen and nutrients. But that’s far from a full-term gestation. Doctors have a lot of experience with extreme measures for nutrition and oxygen supplementation in cases of premature human infants. These are tremendous challenges, with an unfortunately very high mortality rate. If an effective artificial uterus were invented, it would be a massively more important story than Church’s mammoth gene transfer project. The technical challenges are much greater, and the human benefits of such technology would be enormous. For me, when writers uncritically put artificial wombs into the mammoth story, they cemented its status as fake news. If this project cannot be achieved without a science fiction-level advance, then no responsible journalist would report that results are realistic in two years. Anyone who wants to know a lot more about the technical limits and possible approaches for mammoth cloning should read Beth Shapiro’s book, How to Clone a Mammoth, in which she does some fantastic work describing the scientific challenges of working with DNA from extinct species and the potential of bringing them back. Beth is a great science communicator, and she has a long list of scientific publications on the genomes of extinct creatures. She knows what she’s talking about. George Church is an expert geneticist, an accomplished science communicator, and something of a lightning rod for criticism. I’ve been on a public panel with him, and I have seen his ability to handle tough questions, which I respect. Personally, I would encourage Church to do more, not less, to show the public his work in progress. The postdocs and early-career people doing the benchwork are facing some steep technical challenges. Give them the spotlight. Show, don’t tell. Let’s see those elephant organoids with functioning mammoth genes. Let the people see the mouse embryos on their artificial wombs. Post some preprints. We all know mammoths are not going to walk the Earth in two years. Embedding the press and the public into the work will draw upon a broad community to stop fake news from spreading. Science clickbait is fake news. Today I count 65 stories, mostly repeating the same stupid mistakes. Scientists need to work together to make journalists step up and do their basic homework on these stories. Notice, I haven’t said that journalists need to quote more critics. He-said-he-said journalism is not the answer here. What is needed is some basic respect for the facts, and better investigative questions. Scientists also need to direct positive praise at reporters who get it right. I want to single out one: Mary Beth Griggs of Popular Science. Her article, headlined “No, the wooly mammoth won’t be resurrected by 2019”, debunked the idea that Church’s project is creating mammoths and explained clearly both the research limits of embryos and the reality of Church’s “artificial womb” claims. She even reminded readers that the experiments creating dinosaur-like snouts on chicken embryos have not led to walking dino-chickens. The article wins my prize for accurately reporting on statements about work in progress. Let’s see more like it.